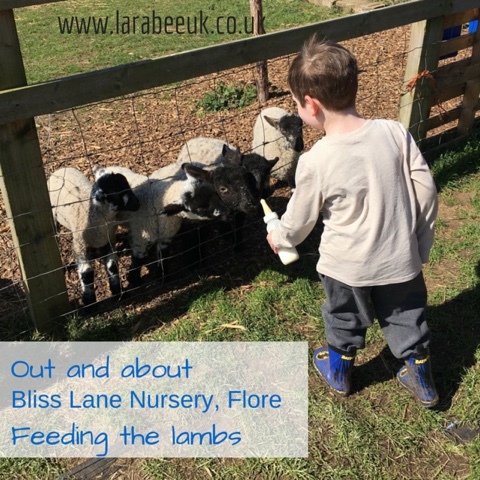 For the past 2 weekends we've visited Bliss Lane Nursery in Flore to bottle feed the lambs. 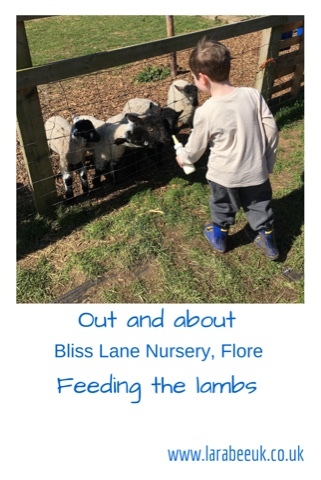 Flore is a village just off of junction 16 of the M1 and the nursery is situated just off the main road. The Nursery has a fantastic team room, where cream teas and delicious lunches (including yummy jacket potatoes!) can be purchased at a really reasonable price. 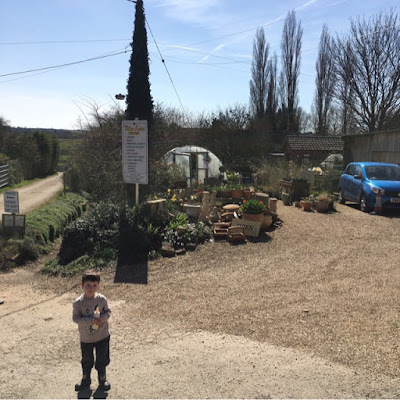 There is also a small farm shop, which is where you pay to enter animal corner, feed for the sheep and goats and bottles of milk for the lambs. Each are £1 which makes this very reasonable to take the children. 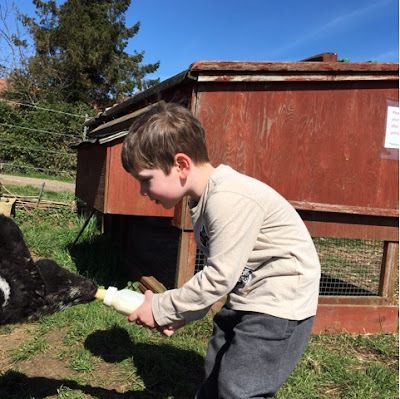 The first week we took T he was a little unsure, but within minutes he was loving every minute of it, and in no time was disappointed because his milk had gone and he asked to come again soon! The chickens are usually free ranging but sometimes they are shut away, T loves to see how close he can get to them before they run off, there's a gorgeous big white cockerel who walks about, but we didn't see him this weekend. 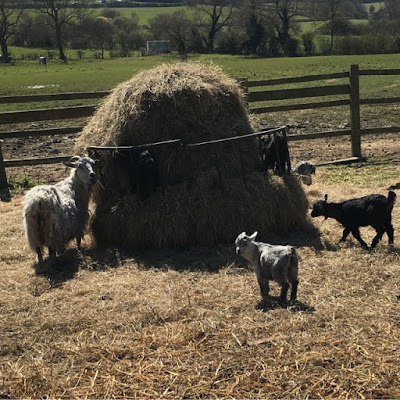 As well as lambs, there are some super cute baby goats, although they don't need feeding and some horses. There are no set feeding times but the Nursery does state that once the lambs are full they will stop selling milk, my advice would be to get there early to make sure that this doesn't happen to you. 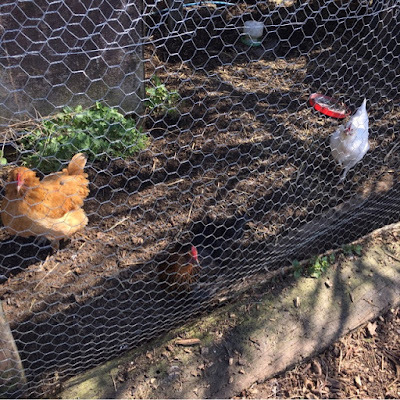 We love spending time at this quaint family run small holding, it's such a cheap activity for us to do and only just a few miles for us to get there. 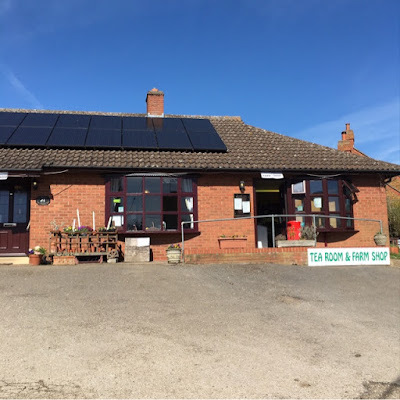 I'd love to hear from you if you've visited! Look out for more reviews of cheap, fun family things to do in and around Northamptonshire in the coming weeks.